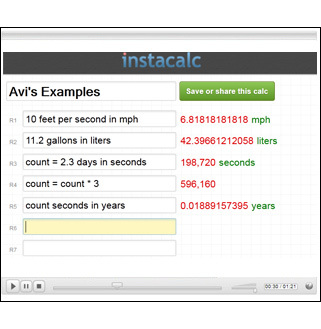 Quick overview: An on-line tool that helps students calculate different variables using plain English terms. 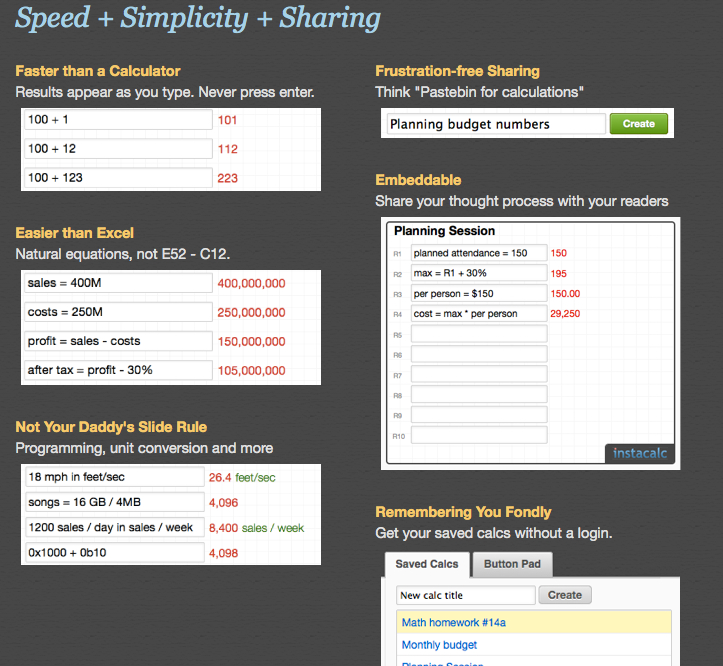 Students can create their own calculators to generate real life equations and then share the calculators with the other students using a unique link. How can it be used in the classroom? If you believe in the “See one, Do one, Teach One” philosophy towards learning, ask your students (ideally in groups of two) to come up with a calculator that calculates something interesting to them. Provide them with a challenge to come up with a working calculator that calculates something they would encounter in their every day life or an interesting statistic they’d like to demonstrate. The goal is to get them to create something that makes the math more relevant and share the results. Can another student validate if their classmate’s calculator is working properly? If so, what math did they use to do it? How could they use the tool? Students could go on the Internet and collect raw data or statistics. Next, which of these variables do they need to plug in from their data to come up with a working calculator? Please follow this link to see a feature tour of what’s possible with this tool. This entry was posted in Tools and Apps and tagged equation generator, equations, instacalc, Math, real life, student-centered. Bookmark the permalink. « ICT Tip: The Scale of the Universe… and everything in between!